The stock market has been a rough ride these past few weeks. Coming into October, all was fine as we recovered from the early February declines and went on to make new all-time highs. But with the Nasdaq falling some 10% in 10 trading sessions, investors are looking for safer stocks and that usually means dividend stocks. But balance can be achieved when looking for new dividend stocks to buy. You don’t have to choose between high-growth stocks and no-growth income stocks. In fact, there are plenty of names in the market that are scattered in between. Zeroing in on these in-between stocks takes some work, but that’s exactly what we’ve done here. We’re looking for high-growth stocks that also pay a dividend. Specifically, we’re looking for dividend stocks that have positive revenue growth expectations for the next two years. Further, we want names that have expectations for 10% earnings growth for this year and next year. Who made the list of high-growth stocks that pay dividends? Let’s see. Delta Air Lines (NYSE:DAL) has a management team that’s committed to returning capital to shareholders. Given the strong economy, secular growth in air travel and plenty of free-cash flow that Delta generates, it’s hard not to like this company. Making matters even better? The valuation. DAL stock currently trades at 9.4 times this year’s earnings. That’s despite forecasts calling for the airline’s bottom line to grow 12.2% this year and another 15% next year. That’s coupled with expectations for revenue growth of 7.9% this year and 5.5% next year. Those estimates also suggest margins are set to expand over these eight quarters, although rising oil prices may crimp that argument. Either way, at sub-10 times earnings it’s hard to ignore DAL stock. Particularly when it pays out a 2.7% dividend yield, which got a near-15% boost in July, following a 50% bump in August 2017. Yield + growth + low valuation = a buy in my book. Can Bank of America stock Outrun the Financial Sector’s Troubles? Sticking to the low valuation playbook, Bank of America (NYSE:BAC) is another dividend stock worth considering. Unlike DAL, BofA doesn’t trade with a sub-10 times earnings multiple. However, it has superior earnings growth and only a slightly higher valuation. Estimates call for an impressive 37% boost to earnings this year over 2017’s results. Even better? While that growth is forecast to decelerate in 2019, estimates still call for 14% growth next year. Oh yeah, that valuation? BAC trades at about 11 times earnings. Given its growth profile though, it’s a worthy addition to one’s portfolio. Plus, Bank of America just beat on earnings and revenue estimates for the third quarter. On the dividend front, the bank kicks out an annual dividend yield of 2.1%. The Fed’s stress test results dictate how much a particular bank can pay out in dividends and allocate to share buybacks. Thanks to BAC’s well-run operation, the bank upped its dividend by 60% in August 2017 and another 25% in July. There’s a lot to like here with BAC — especially when you’re looking for dividend stocks. 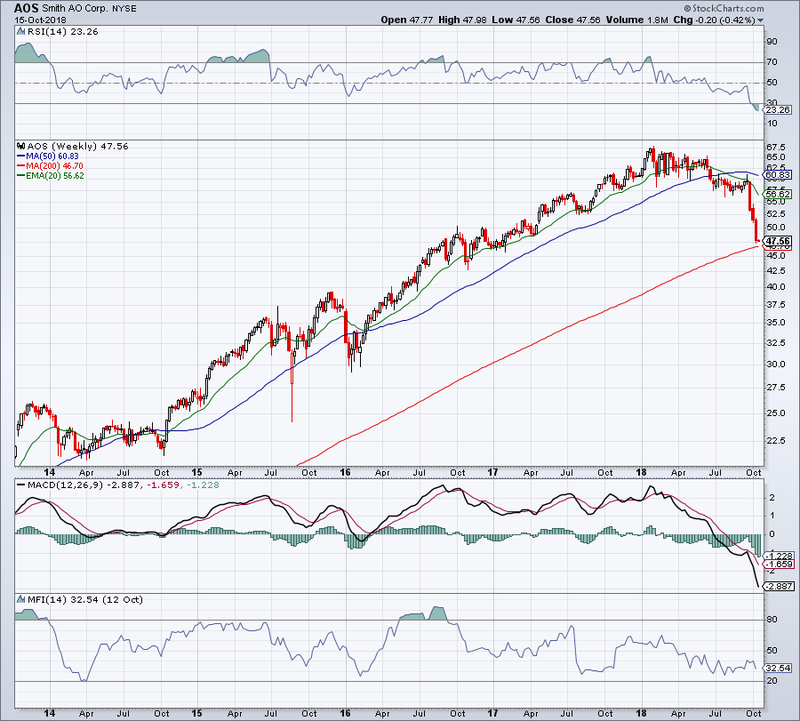 What more can we say about Apple (NASDAQ:AAPL) at this point? You don’t usually see AAPL on a list of dividend stocks, but it shouldn’t be surprising that the first U.S. company to hit the $1 trillion mark is returning a ton of cash to shareholders. A bulk of that comes from the company’s buyback program, as evidenced by last quarter’s distribution. $20 billion went to the company’s buyback program, while roughly $5 billion went to the dividend. It’s clear that Apple’s management team has made it a priority to return capital to investors. That’s why they gave boosted the quarterly payout by 16% earlier this year, following ~10% increases in the three previous years. Apple also announced a $100 billion share buyback program. Apple has been criticized by many over the years for passing on acquiring names like Netflix (NASDAQ:NFLX) and even Tesla (NASDAQ:TSLA). And while its inaction at times may be ripe for critiquing, it’s allowed the company to amass a balance sheet stronger than many countries. It has also allowed the first $1 trillion company to appear on this list of high-growth stocks. Apple now has a well-oiled cash flow machine with its iPhone lineup, which perfectly ties into its Mac and iPad products. The Apple Watch has a clear role in the fitness and leisure space, as well as major potential as a medical device. Its Services unit is close to generating $10 billion in high-margin revenue per quarter, while rising average selling prices are improving AAPL’s profitability. Apple built a legacy business and is relying on a faster-growing segment (Services) to boost its overall revenue growth higher. Microsoft (NASDAQ:MSFT) is doing the same thing with its Azure cloud unit. The cloud-product solution continues to report year-over-year growth of roughly 90% each quarter. While that didn’t move the needle a few years ago, it’s starting to now and investors are taking notice. It’s allowing Microsoft stock to command a higher valuation as it quietly marches higher to all-time highs. Analysts expect revenue to grow 11.4% this year and another 10.6% next year. More promising though is its earnings growth, which is forecast to increase 10.3% and 15.2% this year and next year, respectively. So like AAPL, this mega-cap is also a high-growth stock. Yielding just 1.7% and Microsoft is no longer best known for its income, although it used to be when the stock was a bit more sluggish. But it’s up to investors on whether they want a 3.3% yield with little stock gains or a 1.7% yield and more than 38% one-year gains, such as MSFT sports now. If investors can get MSFT near $100, this is one of the dividend stocks they should pounce on. What is Boeing (NYSE:BA) best known for? Beside producing aircraft, the first thing I think of when I hear the name Boeing is cash flow. And where there’s cash flow, there’s dividend stocks. Simply put, the company generates an insane amount of cash per year thanks to its well-run operation. Just last quarter, the company generated $4.7 billion in operating cash flow and bought back $3 billion worth of stock. It’s a company that has thousands of aircraft in its backlog — 5,900 to be exact, worth almost $500 billion. Meaning that, Boeing essentially just works through what it can each quarter, churning out billions in sales and booking a tremendous profit for doing so. While a recession could derail this backlog and cause cancellations, most view the airline industry as a long-term secular theme. In other words, 12 to 18 months of a slowing economy (note: not collapsing) really wouldn’t dent the need to fill orders that are still years away from being completed. Make no mistake, a recession will slow orders and hurt margins, but Boeing has so many orders to work through, it will always have customers. The company currently yields 1.9% and raised its dividend by more than 20% last quarter. This follows a 30% increase in the prior year. On the growth front, forecasts call for 42% earnings growth this year and 21.5% growth in 2019. Revenue estimates call for 5.6% and 6.8% growth during the same periods, respectively. A rally could push the Dow Jones even higher. Looking for a less-talked about name? How about A. O. Smith (NYSE:AOS). The company produces residential and commercial water heaters, air purification systems and other products within that realm. And it’s a big-time high-growth stock. Analysts expect almost 10% sales growth this year and 7.6% growth in 2019. That goes alongside forecasts for 20.3% earnings growth in 2018 and 11.3% growth in 2019. The solid growth profile has led to a number of consistencies for shareholders, like a steadily rising stock price and a consistent dividend. In fact, I’ve had this one as a Future Blue Chip stock for years, but in 2018, it’s had trouble moving higher. Unlike other years, it’s been grinding lower throughout 2018 before the bottom finally fell out this month. Maybe it’s too much like catching a falling knife for some, but those looking for a consistent company, they don’t get much better than AOS. Despite these losses, AOS remains solid as far as dividend stocks go. Just last week, the company gave a 20% boost to its quarterly payout, bringing its yield up to 1.85%. That follows a whopping 30% boost in January of this year, a 17% boost in January 2017 and 26% increase in January 2016. Clearly management is committed to upping its dividend. For investors who want a long position but are worried about a potential decline, consider buying near current levels and using a stop-loss on a close below the 200-week moving average (see the chart to the right). As much as I wanted to go with TJX Companies (NYSE:TJX) right here, the stock’s 53% gain over the past 12 months makes me leery on the name. Particularly as we head into what it is typically peak season for retail. Some will take issue with my selecting of Starbucks (NASDAQ:SBUX), as it’s been “dead money” for a few years now after being on a big run of its own. However, the company continues to churn out record results each quarter and is a premium player in the fast-casual/retail sector. Further, the company is incredibly profitable, delivering impressive industry-leading ROI figures. Starbucks also has a huge multi-year growth opportunity in China, as the company continues to build out 500 stores a year in the country. Analysts expect 10.5% sales growth this year and just 6.5% next year. They also expect 17% earnings growth this year and 10% next year. There’s a reason Bill Ackman likes the name. However, the big focus has become the capital return. The company continues to bolster its buyback plan, as SBUX recently entered an accelerated $5 billion buyback thanks to its big $7.2 billion deal with Nestle. By fiscal year 2020, Starbucks plans to return $25 billion to shareholders, a big increase from its prior forecast of $15 billion. Shareholders have gotten used to a 20% or more dividend increase in the October quarter for the last few years, cementing SBUX’s inclusion on this list of dividend stocks with high growth. However, in July management gave an additional 20% increase to the dividend. SBUX now yields 2.6%. Bret Kenwell is the manager and author of Future Blue Chips and is on Twitter @BretKenwell. As of this writing, Bret Kenwell is long BAC, AAPL and SBUX. The post 7 Dividend Stocks That Have High Growth Ahead appeared first on InvestorPlace.